Many of our guests over the years have opted to bring their pup along for the trip with them – and we don’t blame them! 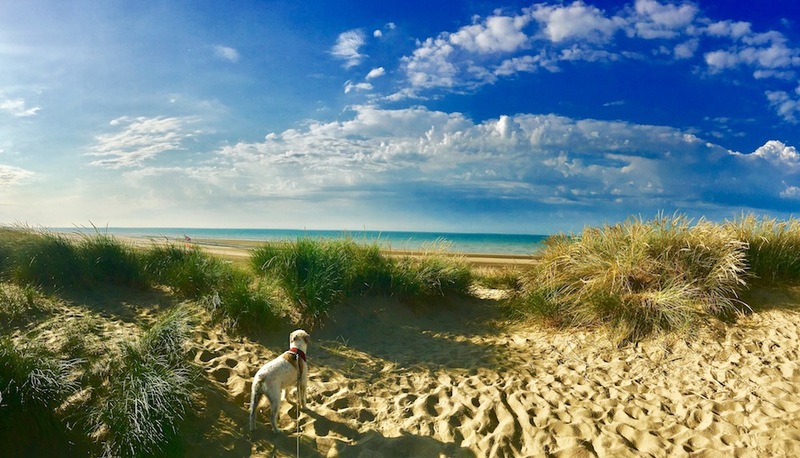 Just ask our own pooch, Oscar: when it comes to dog-friendly beaches in East Sussex, you’ll find plenty of fantastic options just minutes from Beside the Sea’s cottages in Camber Sands. From wild and secluded shingle beaches to expansive golden sands, the following five destinations offer the kind of freedom for Fido to run wild along a scenic stretch of coast. The very best beach to bring your dog in East Sussex is undoubtedly Camber Sands – arguably one of the top coastal spots for dog walking in England. The sandy shore here is massive, giving your pooch endless space to bound along the seafront, play fetch, and crash into the surf. The shallow sea here makes it ideal for hesitant hounds that like a paddle but aren’t confident swimmers. The beach is also backed by tall grassy dunes, so dogs have plenty of interesting sniffing spots! 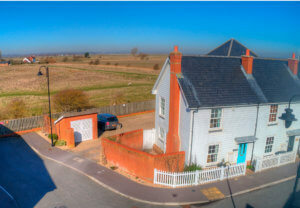 Camber Sands is dog-friendly all year round, but there are some restrictions from May to September. But even then, your dog will still have a mile of sand and dunes to run and roam. After a long stroll along the coast, head for a drink and lunch at the Owl Pub and Grill. Located at the foot of the dunes, this dog-friendly establishment is a top spot to relax beside the sea. The food is great, and the staff often hand out doggie treats to their canine customers. Call in after winter walks to warm up beside the fireside, or sip refreshing drinks on warm summer days. The long, golden expanse of Broomhill Sands makes it a fantastic destination for dog walkers. 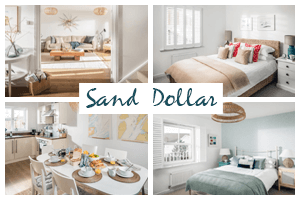 And it’s just a 20-minute stroll along the seafront from Camber Sands. The gradually sloping waters are ideal for dogs that aren’t so confident out of their depth, while a seemingly endless stretch of sand means there’s tons of open space for energetic running and tail-wagging fun. If you choose to drive, you can make use of a huge car park with free parking available. Just be sure to time your visit right as there isn’t a beach here at high tide. Check out the tide timetable before setting off. Restrictions also apply from May to September when dogs on a lead are allowed in marked areas. The peacefulness and beauty of Pett Level Beach is reason enough to take the 20-minute drive west. On quiet days, you’ll feel like it’s your own private stretch of sand. Sprawling for miles, the golden shores here are ideal for long walks when the tide is right out. Low tide also reveals the remains of an ancient sunken forest, while exposed rock pools will attract inquisitive canines. There’s ample free parking along the entire length of the beach, while a short concrete walk is good for strolls in wet weather. 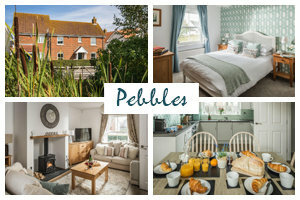 Located by the beautiful Brede Valley and the historic town of Winchelsea, Winchelsea Beach is a gently sloping shingle beach just a 15-minute drive west of Camber Sands. Arrive here at low tide and you’ll be met by miles of flat and wet sand, with plenty of rock pools for your dog to splash and explore. On clear days, you’ll also be able to see the red cliffs at Fairlight, which are particularly striking when they catch the early morning light. This strip of coastline is often deserted, leaving just you and your four-legged friend to enjoy the invigorating sea breezes. One of the top dog-friendly beaches in East Sussex, the huge shingle shoreline at St. Leonards reveals itself at low tide. Located a 35-minute drive from our cottages, it’s a fantastic place to let your dog loose across a boundless seafront. On a very low tide, you can walk all the way to Bexhill. 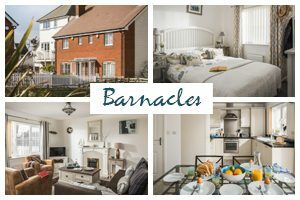 Behind the beach, you’ll find plenty of facilities (toilets and shops), and a lovely promenade that stretches all the way to Hastings. Dogs are restricted from certain sections of the beach between May and September, so keep checking the signs as you walk beside the waves. For the best experience, head to the west part of the beach. Zero doggie restrictions, fewer tourists, and free parking make this section perfect for walkies. 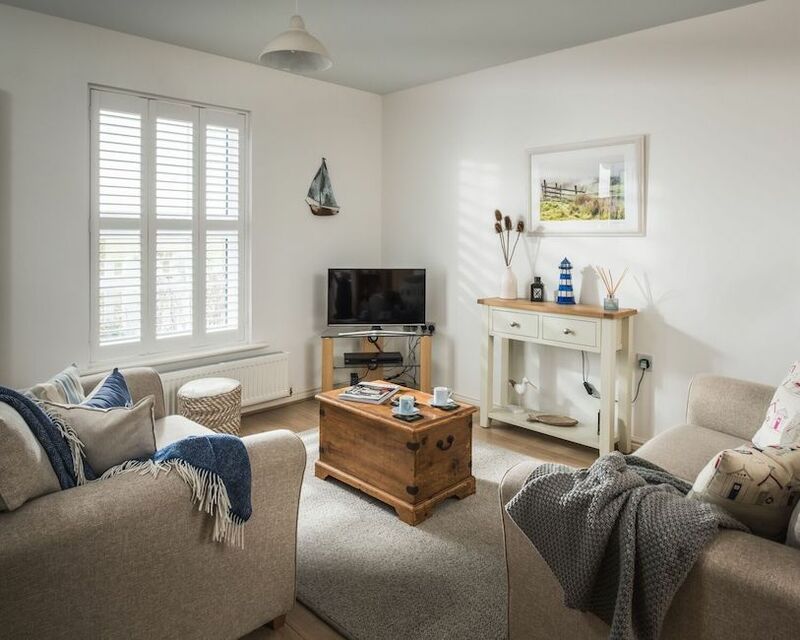 You’ll find a host of dog-friendly beaches in East Sussex, with many just a short drive away from our Beside the Sea cottages in Camber Sands. Planning on bringing your four-legged friend to this part of the world? 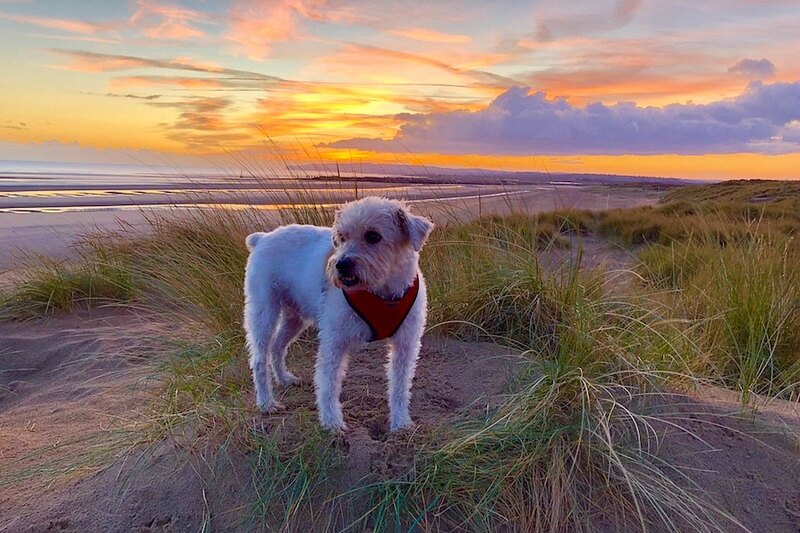 Our Pawesome Pads offer a home-away-from-home for you and your furry family member to explore the scenic beaches of Camber Sands and beyond. Start planning your dream beach break by learning more about our accommodations today.